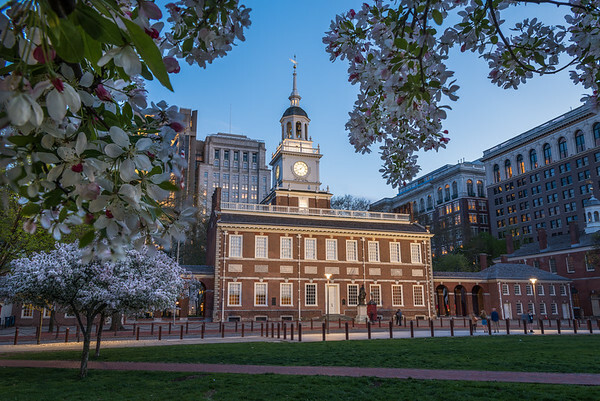 I liked the flowering trees on the Mall, so I captured this blue hour view with a bit of springtime color. A view of the Philadelphia skyline, as seen just past sunset. 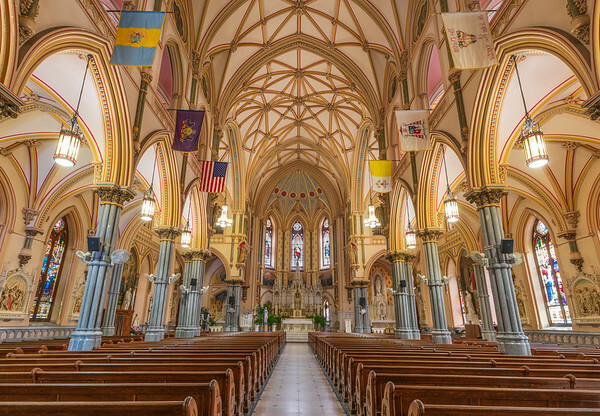 This beautiful Gothic revival church opened in 1906, and serves the Philadelphia neighborhood of Manayunk, PA. 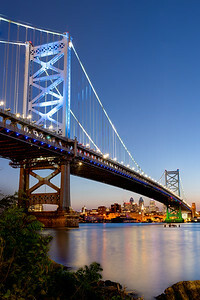 The Philadelphia skyline glows at sunset in this view of the Ben Franklin Bridge, which spans the Delaware River, and connects Philadelphia and Camden, NJ. 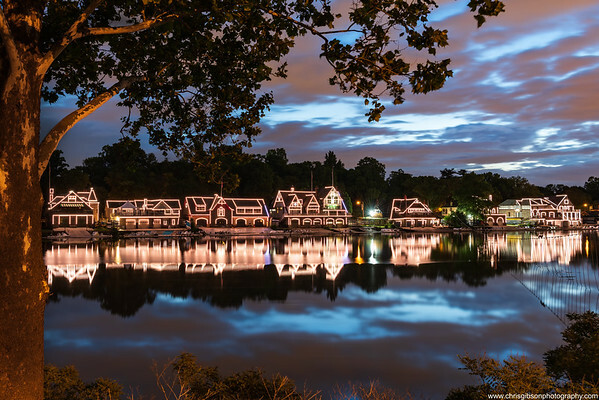 A view of Boathouse Row, just before sunrise. 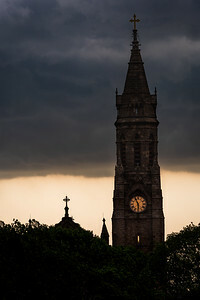 The spire of St. John The Baptist is covered in darkness as a sunset storm rolls into the Manayunk neighborhood of Philadelphia. I captured this slice of the Philadelphia cityscape from the Spring Garden Street bridge. 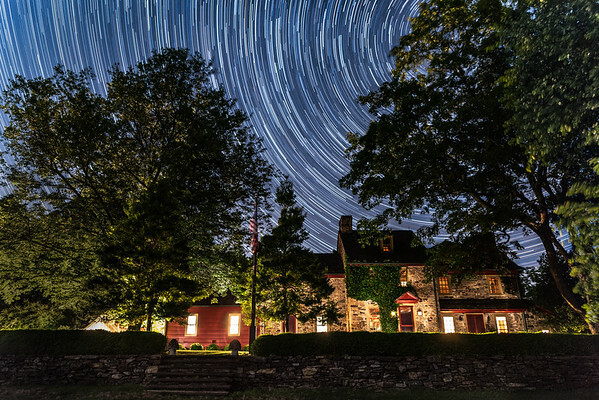 The stars display their astral glory over this 18th century Pennsylvania farmhouse. Designed in the Second Empire style by architect John McArthur Jr., the construction of this building took 30 years to complete. When it was finished in 1901, it was the tallest building in the world. I took this image just before mdnight, in September 2014. Here is a 3-shot HDR view of the crew boathouses along the Schuylkill River, in Philadelphia. 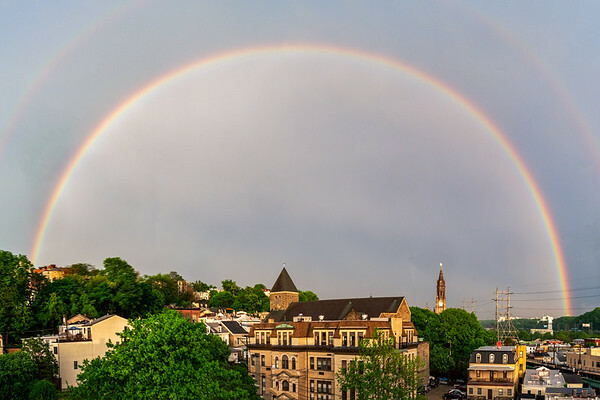 A double rainbow spans Manayunk in this 14 image panorama. 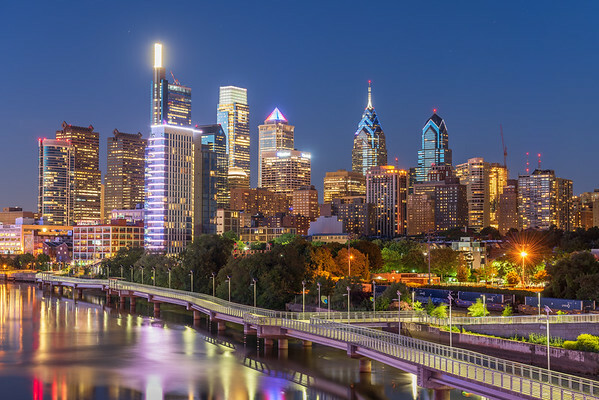 A sunset view of the Philadelphia skyline, and the Schuylkill river.